This is nice and familiar to Windows and Mac users, and fits the established "desktop metaphor". I used Gnome (with first Metacity, then briefly luminocity, then compiz, then beryl, then compiz-fusion) for many years as my primary desktop environment. 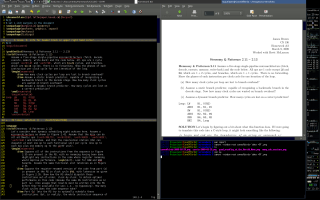 On the left, you can see a large gvim window editing a LaTeX file. 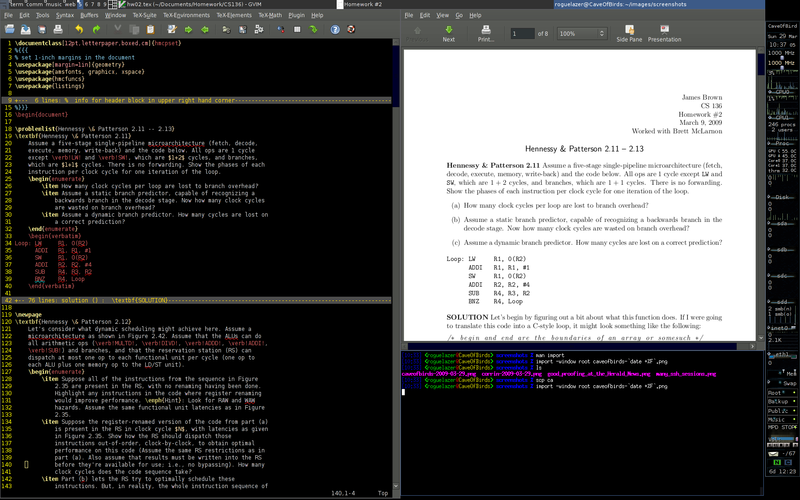 On the right, an evince window displays the compiled PDF. Below that, I have an rxvt-unicode terminal emulator open for miscellaneous tasks. 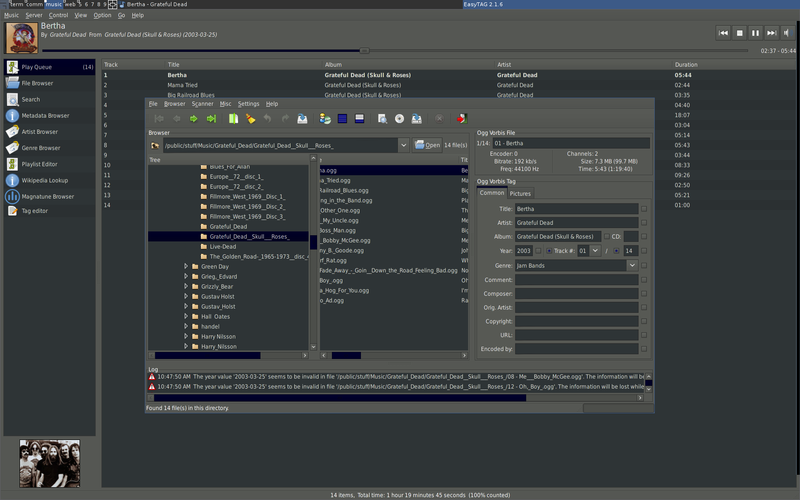 Finally, on the right-hand edge of the screen, I have a copy of GKrellM open displaying my system stats and such. Don't worry -- a simple middle-click collapses that 80-pixel bother down to 5 pixels when I want to actually focus on my work. Configurable presets for master/slave windows. Essentially, this means that I can say "I always want Pidgin to go in a particular place. Which is nice. 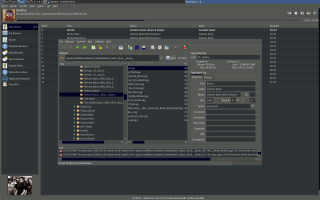 Easy program launching with <Super>-p. There are lots of other neat things about awesome, but I figure this is about enough for one blog post. If you have any questions or suggestions, don't hesitate to leave a comment. Ciao!